Scott had e-mailed me inquiring about the possibility of photographing a proposal he was planning back in May. I was thrilled, because how often do you get to be involved in such a special and joyous occasion?! After speaking and messaging back a few times, we went over the game-day-plan and scouted the location. In addition to planning the proposal aspect, Scott flew in Blair's best friend Taylor to join in on the celebration as a surprise. We celebrated by capturing some engagement photos afterwords on the State St. Bridge, and eventually back to the spot of their first date. Guys, it was kind of (read as really) awesome. Best wishes to Scott and Blair on their future together! "After meeting at a mutual friend's birthday party, Scott and Blair set up a first date at City Winery on the Riverwalk in the summer of 2015. Blair walked alone on the State St. Bridge to their first date, and scouted the location from above to see if he beat her there. 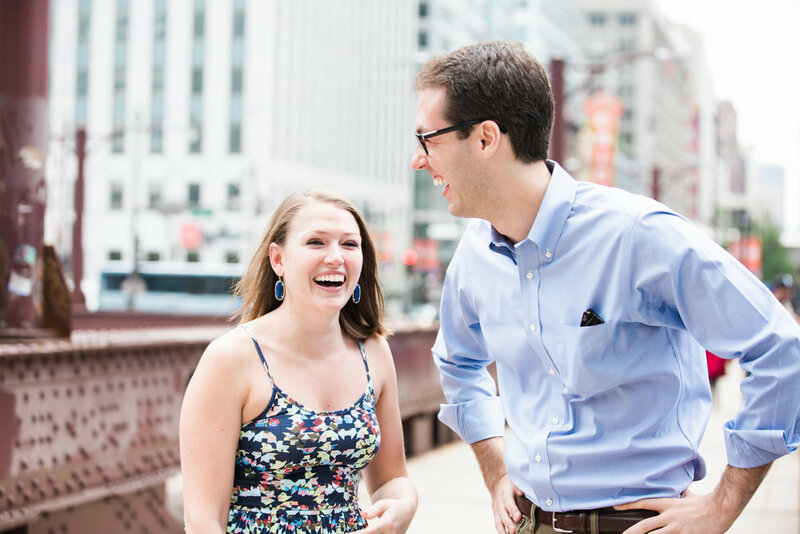 Over the past two years, they have walked on the west side of that bridge almost every week, each time peering down to see if the table where they had their first date was set up yet. 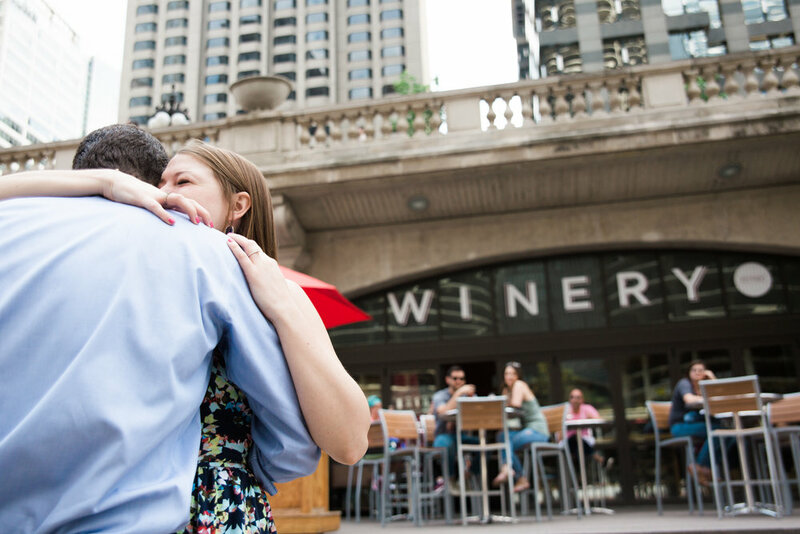 While they were on their way to meet some friends on the first truly summery day of 2017, Scott and Blair stopped to remember how their life changed after their first trip to City Winery together. As they stared at the crowd below, Scott got down on one knee and another new phase in their lives began."